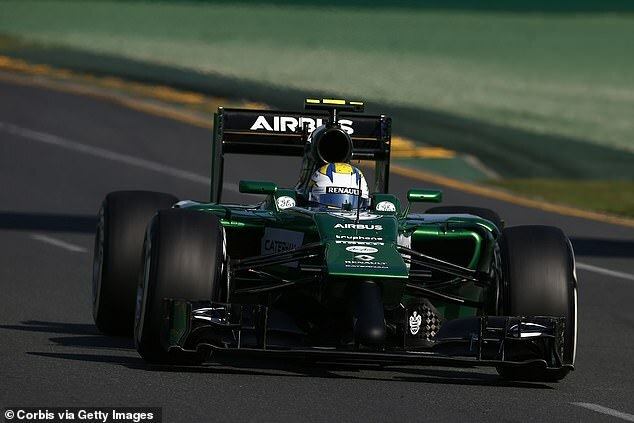 It’s the big week where the vast majority of Formula One teams unveil their challengers ahead of the new season. To a casual fan you may wonder what the fuss is all about. It is a car with four wheels, two wings and hopefully space to put an engine behind the driver. But there has been enough examples from down the years to suggest there is scope for a shock in store, whether it is with radical design or a shocking paint job. 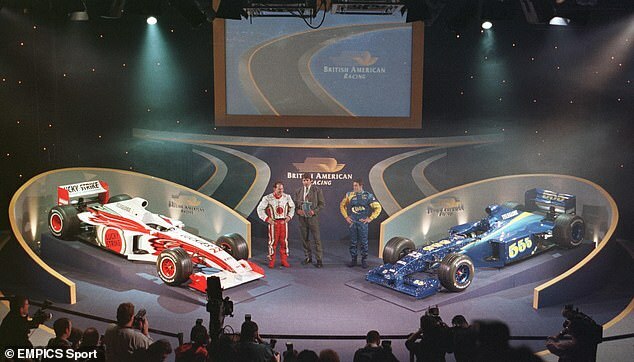 Here Sportsmail looks at 12 of the most memorable car launches. McLaren were in the doldrums around the mid 1990s – not quite to the extent they are now – but enough to provoke a radical new design on the MP4/10 heading into the 1995 season. The one aspect they did get right was aligning with Mercedes, but that was never going to make up for the other new additions including a ‘pin nose’ and a mid-wing placed at the back of the engine cover. Also onboard was Nigel Mansell, but his struggles to fit in the car combined with its failure to challenge for wins saw him leave the team just four races in. While McLaren’s unique looks two years prior were intended to make gains in performance, Jordan rocked up in 1997 with seemingly more focus on aesthetics. But where McLaren failed, Jordan succeeded. 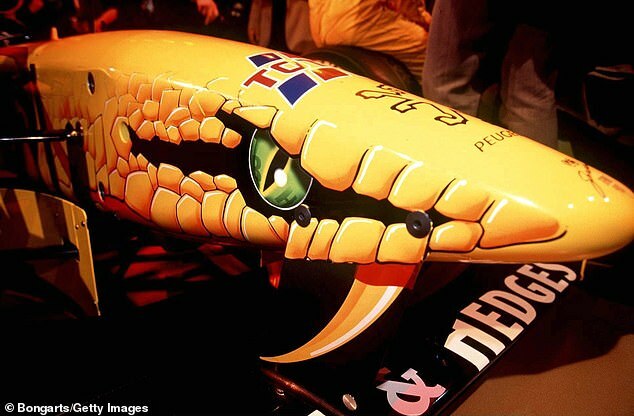 They gained a modern look and a PR boost as out went the tacky dark gold colours of their tobacco title sponsor and in came a glistening yellow… and more importantly ‘Hissing Sid’ the snake on the Jordan 197 nose cone. 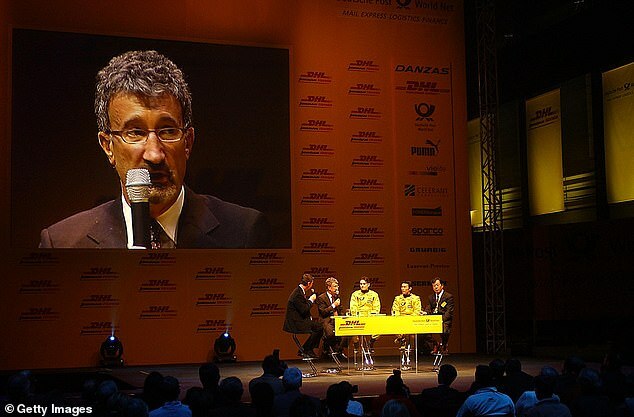 Team boss Eddie Jordan initially was not happy with the addition of Sid but grew to the concept as the team’s popularity started to increase. 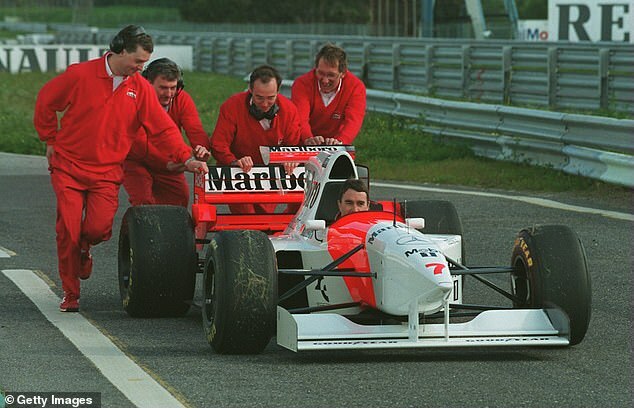 While Jordan were introducing snakes to the grid, attention on a brand new livery after years of a red and white colour scheme should have been the talk at McLaren. 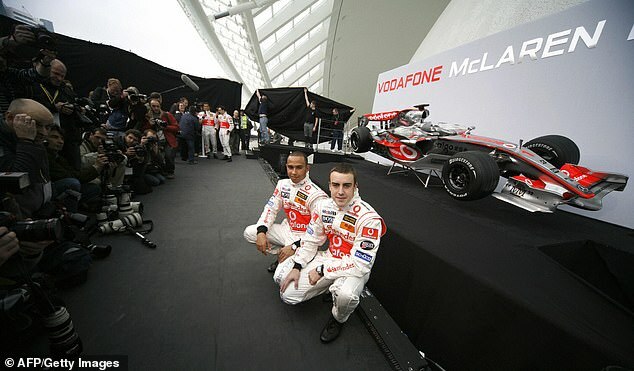 Instead the focus was not even on the car as The Spice Girls and Jamiroquai were on hand at London’s Alexandra Palace to help introduce the new MP4-12. After performing their hit songs like Wannabe the group then exchanged in a rather awkward Q&A session with drivers Mika Hakkinen and David Coulthard before leaving the stage. BAR endured a forgettable season results wise in their maiden year by not scoring a single point. Not so forgettable was their ghastly livery. The car looked horrendous, with one side of the car featuring a red and white colour scheme with the other half blue and yellow and no pattern to link the two at all. 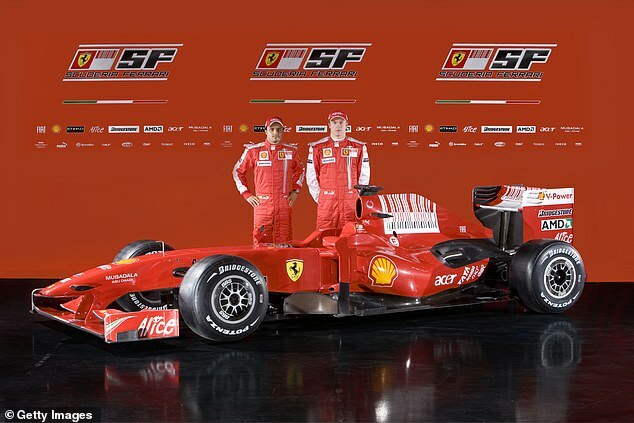 It all stretched back to their car launch, where they shocked the F1 world by intending to run two cars with different livery schemes. The FIA understandably were not as keen on the proposal as the team and as a result banned the concept, forcing them into a quick fix of just merging the two designs. 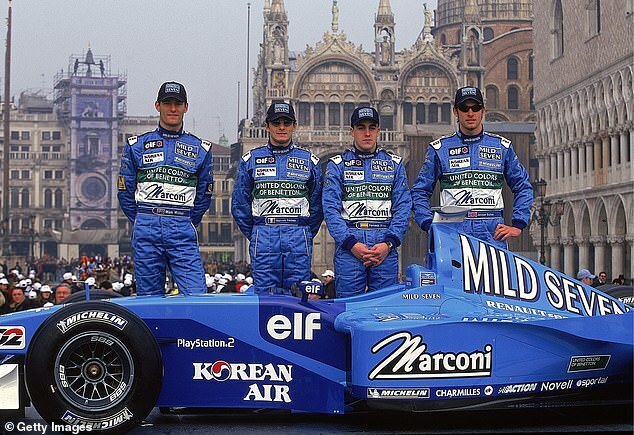 The less said about Benetton’s final Formula One season the better, but despite the woeful performance of the B201 it was launched in some style. 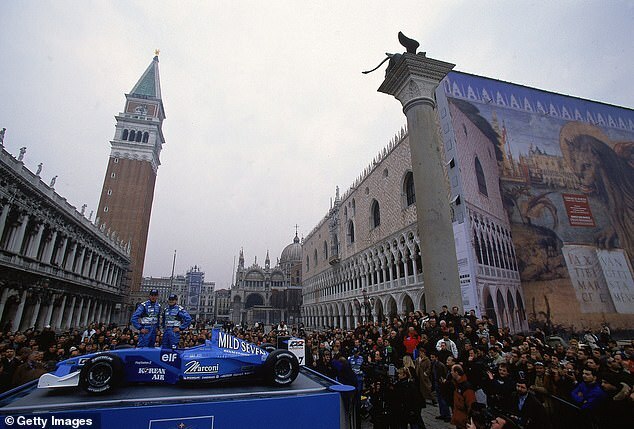 Having already sold the team to Renault, the Benetton family went big with a car launch in Venice’s Piazza San Marco that reportedly cost $500,000. Never has such a terrible car, that struggled near the back for most of the season, been lumped with so much driving talent. Even though they did not have a race win between them at the time, Giancarlo Fisichella and Jenson Button, as well as test drivers Fernando Alonso and Mark Webber all deserved better. Following on from the success of ‘Hissing Sid’ and later a hornet as mascots on their nose cones, Jordan appeared to jump the shark on the concept when they introduced… well, a shark for the 2001 season. 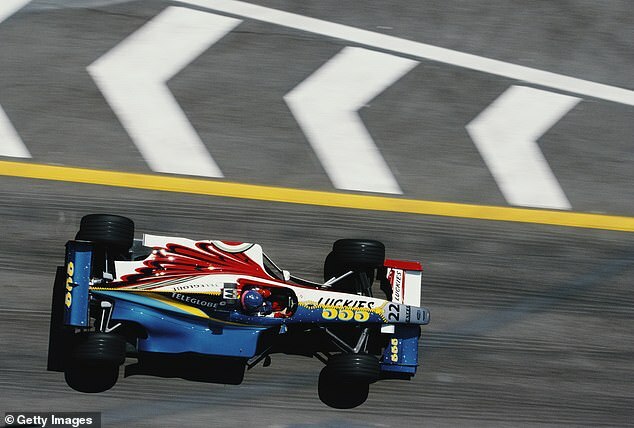 So in 2002 they needed a new trick and Eddie Jordan didn’t disappoint. 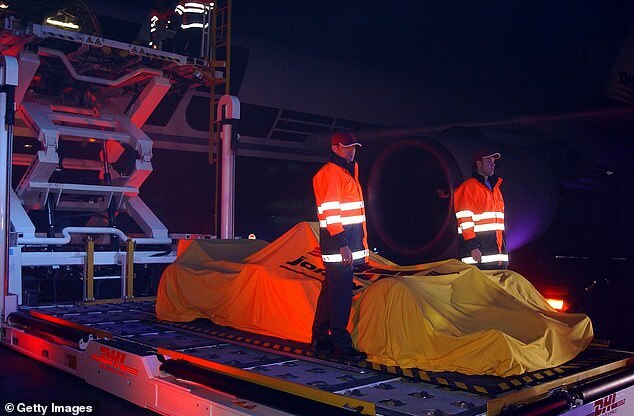 A typical car launch was started with the drivers and Jordan at Brussels Airport before during the presentation a message for an urgent delivery interrupted the show. A video showed a plane flying past before hangar doors opened to unveil a 52 metre-long plane entering. What did it have? 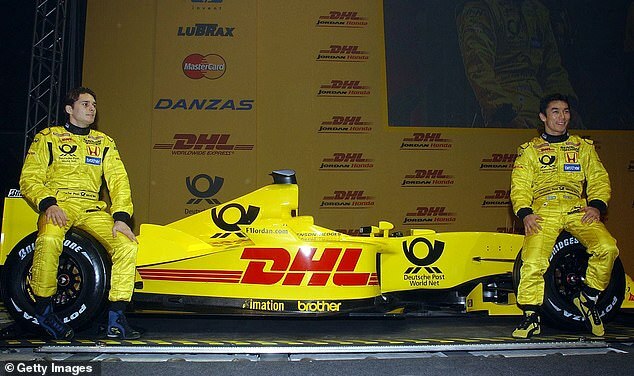 None other than the new Jordan EJ12, sponsored of course by DHL. There was much anticipation at Williams ahead of the 2004 campaign. Juan Pablo Montoya could count himself unfortunate not to win the title the previous year and the feeling was the team were heading back to their 1990s best. 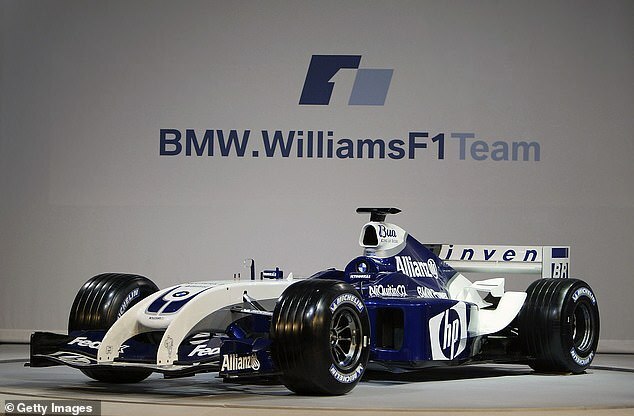 Then the FW26 was unveiled. Eyes bulged and mouths dropped when it featured the ‘walrus nose’, that the team hoped would end four years of Ferrari dominance. 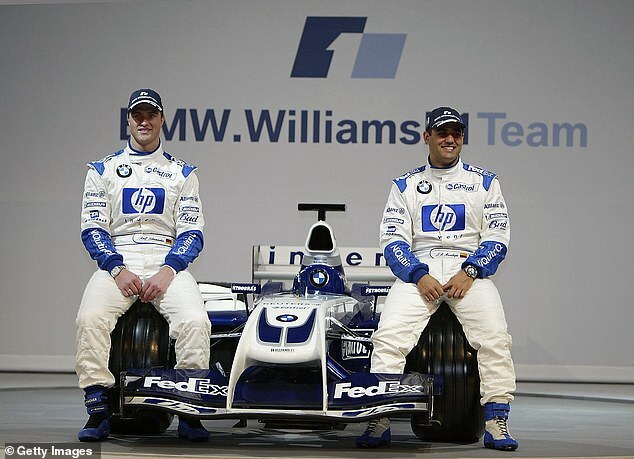 Instead Michael Schumacher and Ferrari dominated the entire season and Williams would only win one race. The last one… six races after the ‘walrus nose’ was dropped in favour of a more traditional design. It is another Jordan car launch, but this was a rather sad reminder that the rock n’ roll team from the late 1990s was now all but dead. It was a Jordan car and team in name only. 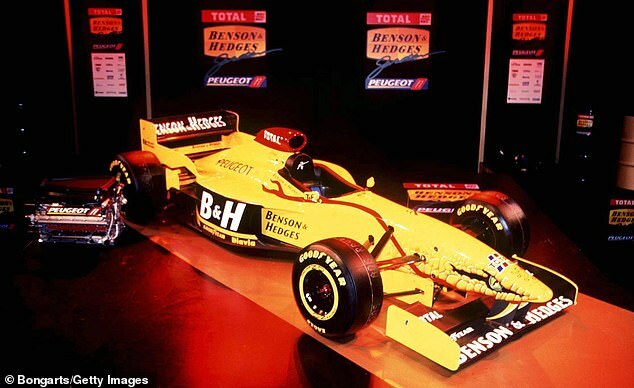 The yellow livery remained but that was the only vibrancy left, with Eddie Jordan having long since sold his outfit to Russian owners. And that explains the Moscow location for the final Jordan car launch. 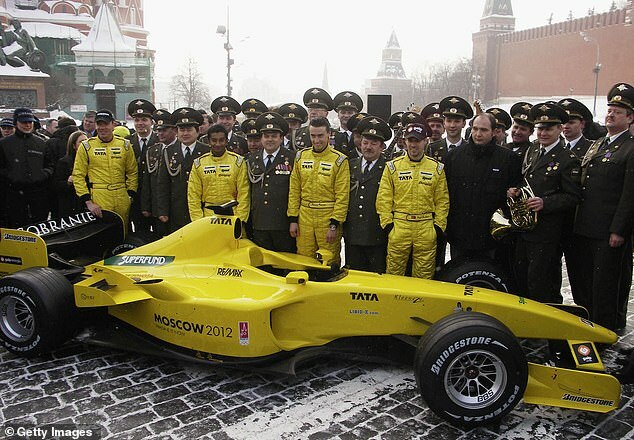 As drivers Narain Karthikeyan and Thiago Monteiro posed with the EJ15 in Red Square it looked like everything Eddie Jordan would not do, despite the magnificent backdrop of Saint Basil’s Cathedral. The Jordan name would stay alive throughout the season but the team continued to struggle near the back of the field, save for one fluke podium in the United States. The Moscow launch was a fair reflection on the very start of a testing transition period for the team over the next few years. 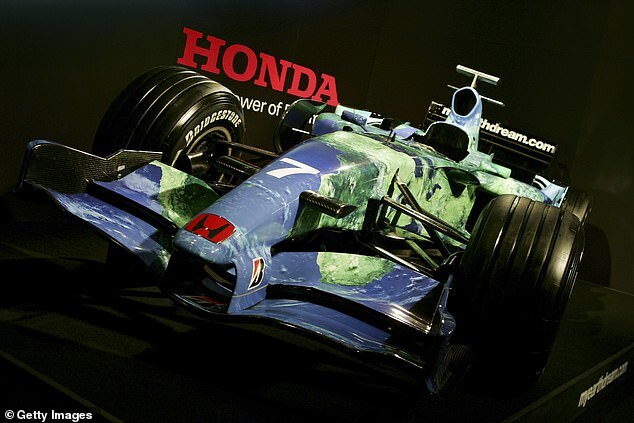 Putting the dots together, Honda seemed to have big name backing ready to be announced for the 2007 season when early testing showed them running in a plain black car. It pointed towards a livery approach that would veer away from the predominately white based colour scheme from the previous season. 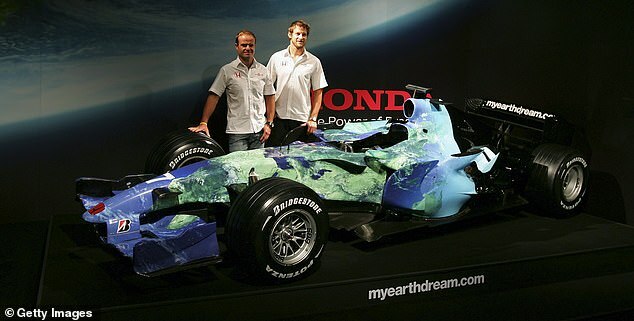 But while the change in livery was a correct guess, nobody could have seen the team unveiling planet earth shaped as an F1 car and featuring no sponsors, aside from a website promoting the fight against climate change. It was an astonishing look, aimed to promote awareness of motorsport’s role in the environment. Cynics though suggested it was a cover for the team’s inability to find a title sponsor. It was a theory that had legs, especially when the team went from winning races in 2006 to making up the numbers a year later following a shocking performance collapse. It’s amazing how much the F1 landscape can change within a season. 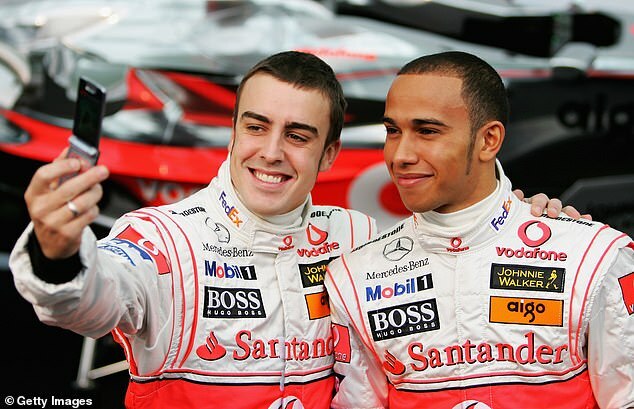 By the time 2007 had ended, McLaren team-mates Lewis Hamilton and Fernando Alonso hated each other, the team had been hit with a $100million fine for the ‘spygate’ scandal and of course they threw away the drivers’ title in Wacky Races fashion. It makes their glitzy pre-season launch in Valencia look like a parallel universe. Closing down a street in front of 250,000 fans, the drivers were unveiled and drove the previous year’s car around the Spanish streets in a huge party like atmosphere. Everyone knew it was coming. 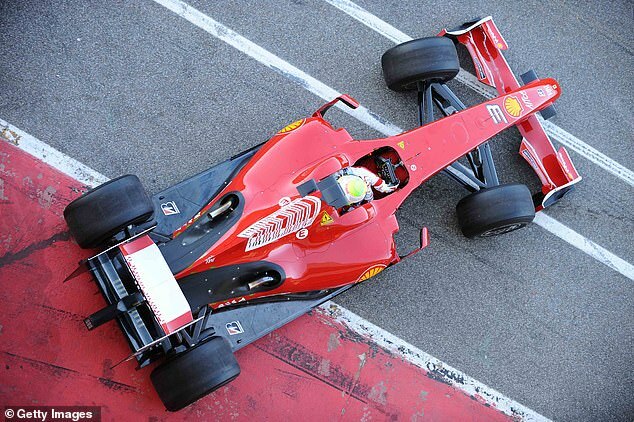 The rules made it impossible not to know there would be a radical departure in how an F1 car looked. Fatter front wings, skinnier and taller rear wings, aerodynamics around the car reduced, slick tyres and longer wheelbases. A new era you would call it. 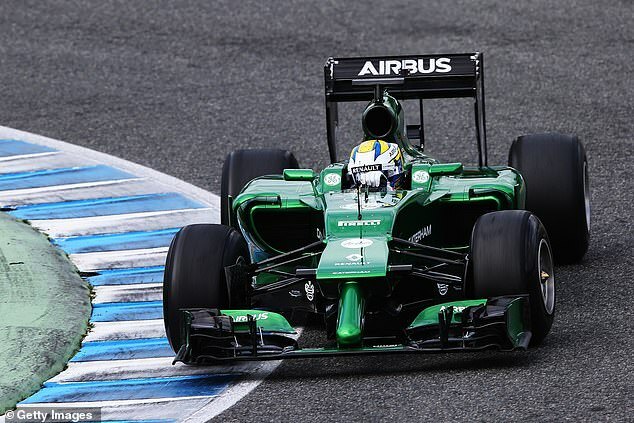 The jagged front wings that made an appearance in 2012 were bad enough, but another raft of new rules for 2014 produced some of the most ridiculous car designs seen in recent times. The war between aerodynamicists and the regulations saw a big casualty in aesthetics as cars were unveiled with some radical and often dead ugly noses. Worst of the lot was arguably Caterham, whose answer to the low nose regulation and desire to keep air flow under the car was to produce the ‘anteater’ monstrosity. No one got used to it, to the point the team soon painted the nose black before the season even started to try and draw attention away from it.